Are the images in this ghost flames gallery real or just an optical illusion induced by the power of suggestion? Are these fiery hands reaching out for you? Is this ghost trying to pull you into the flames with it? Many people have claimed to see spirits in fires throughout the centuries. For example, the image on the left appears to clearly show a fire spirit, but is it real? You'll have to decide that for yourself. Explore more ghostly flames in the following slideshow. Here, a ghost seems to reach out in desperation. Its mouth is opened wide in a scream of horror that you can almost hear. If you try staring into the flames, you may see other shapes leap up and form a ghostlike image. You can't miss the distinct figure in these flames. The face is fixed as though its head is slightly bent down. You can see its two black eyes, set in an evil glare of flames that is difficult to get out of your mind. Its arms are extended to the sides as though the ghost is about to step out of the flames. Although this image isn't as clearly defined, you can just make out the image of two figures in an embrace. You can see their heads leaning toward each other. The flames of true love melt these ghost lovers into what nearly transforms into one being. This image appears to show two ghostly faces in the flames. The one on the left has two pointed ears like Egyptian paintings of Anubis with his jackal head. The other figure has Jack-o'-lantern dark eyes. Could it be his wife, Anput? Or could they be the spirits of two other people who passed on together? This image looks like the spirit is attempting to break free of the flames. The spirit's mouth is opened wide as though releasing a terrified scream. There appears to be a skeleton skull overlapping the ghost head. The skull is looking down at the ghost as though taunting the burning creature. Could it be the ghost of someone who died tragically in a fire? Look closely at the top of the flames, and you'll spy a very disturbing spirit. It almost resembles a burning mummy. The head is wrapped with a bandage and its eyes are black cavities. Its chin is set in a determined jutting out with its mouth open in expectation. Could it be searching for Anubis and Anput? This image appears to show a fire spirit, but is it real? Is this fire spirit taking on a human shape to convey a message? Its melted face is clearly defined with two distinct eyes, cheekbones and a developed square chin. However, the most impressive part of this fiery manifestation is the tongue sticking out from the mouth, almost in a mocking gesture. The face of a frightened ghost looms over the burning wood. Sunken dark eyes have a haunting and spooky appearance. This little creature appears to be wearing a skull cap with one ear sticking out beyond the cap. Its mouth is contorted in its fearful expression. This fairy ghost in the lower left-hand corner looks as though she is trying to flee the burning wood. Her wings are poised for flight. Perhaps she is a wood nymph caught off guard. It's easy to get caught up in seeing ghost images in flames. 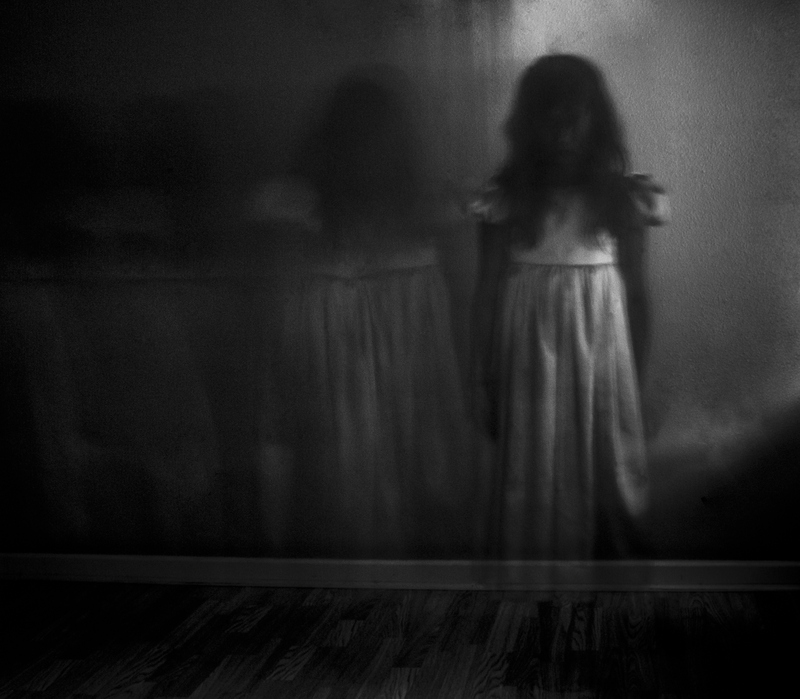 Ghost stories can also capture the imagination and blur the same lines of reality.